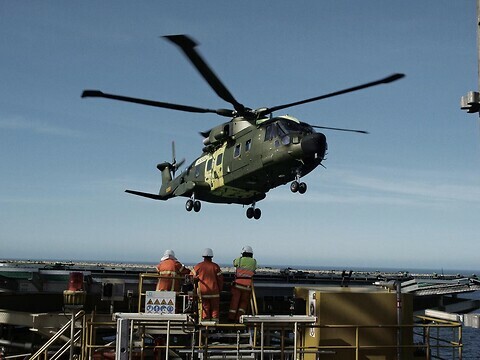 As a Helicopter Landing Officer on an offshore installation it is vital to have the right knowledge and skills set to operate and handle helicopter safety under normal conditions, as well as in emergency situations. On the HLO course you will learn how to prepare a helicopter landing deck prior, during and after the helicopter operation including communication, procedures, fuel quality control and refueling. The course will also prepare the HLO for emergencies such as a helicopter crash or fires occurring while the helicopter is refueling. In these emergencies the HLO will be able to fight fires, use lifesaving equipment and safety techniques and if needed perform a rescue of helicopter crew and passengers. Are you the appointed HLO or do you have a HLO in your crew? Then do not hesitate to contact Maersk Training Esbjerg.